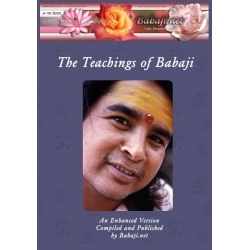 This eBook is an enhanced version of The Teachings of Babaji. In addition to the preserved talks that were either transcribed during the time the talk was given or recorded and transcribed at a later time, we include many pages of quotes by Shri Babaji on a variety of subjects - usually themes that He revisited regularly during these talks and were also incorporated in His messages, plus we include a Glossary of Terms for those who wish it. We have also included dozens of pictures throughout the eBook. This publication is over 200 pages in length. It is a work of Love by Karma Yogis and Yoginis participating in the intention of spreading awareness of Shri Babaji and His teachings throughout the world - this is in response to the many instances that Babaji Himself had repeated in His communications which you will encounter when reading the teachings. For a limited time we are offering this in two formats with your purchase - one in mobi format (Kindle) and one in PDF. You may CLICK HERE to download a sample should you desire. THIS IS A DIGITAL PRODUCT, and will be available for download immediately following payment. Taken From The "Daily Dose of Babaji's Teachings" daily emails. Created by a devotee who chose her favorites to share with friends and family in a portable form - fits in pocket or handbag. 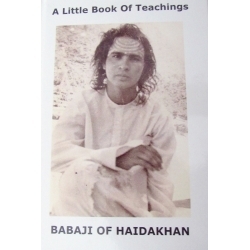 This is a story of Radhe Shyam's and other individuals' experiences of meeting with the great Himalayan Master, Haidakhan Babaji also known as Maha Avatar Babaji. Throughout the fascinating 416 pages, one comes to learn some of the history of this timeless Master, His teachings, His predictions, and stories of people that He touched with His love, healed, and the lives He transformed. 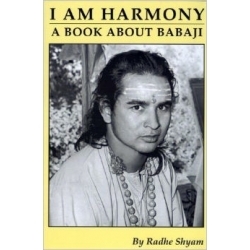 Included in the book are 16 beautiful color photographs of Babaji along with many black and white photos. It is a must read for every serious seeker on the spiritual path. The first edition of I Am Harmony has been translated and published in Bulgarian, Croatian, German, Italian, Japanese, Korean, Polish, Russian, Slovenian and Swedish; it has been translated into Dutch and is awaiting publication; and it is in process of translation into Latvian and Serbian. Radhe Shyam, formally Charles Swan, met Babaji in early 1980 and his life was totally transformed. Before this time he was a lawyer working in foreign affairs throughout the world for the State Department of Washington DC. 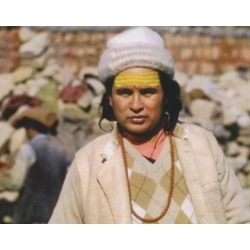 He lived in India from 1980 until shortly after Babaji left His body in 1984. After returning to the US he helped begin Babaji's Ashram in Crestone, Colorado, worked for Native Americans' and prisoners' rights, as well as donating several years of his later life bringing democratic and sound business practices to the town Voroneth in Russia. Radhe Shyam passed away in 2006.